#CedefopPhotoAward 2018 received photo stories from 100 teams consisting of over 300 learners and 81 teachers/trainers from 78 vocational education and training (VET) providers in 18 EU Member States. The three winning teams came from Italy, Hungary and Lithuania, with the first two competing for the top prize to be awarded at the European vocational skills week in Vienna on 9 November. The team from Lithuania, winners of the third prize, were the guests of honour at the Thessaloniki event. Students of the 2nd Thessaloniki Vocational Apprenticeship School OAED were also invited. 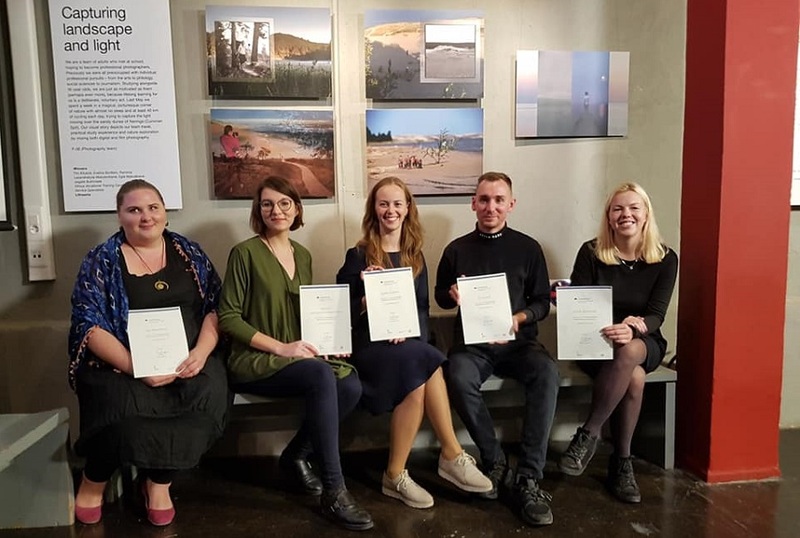 It is the third year running that the TIFF and Cedefop jointly organise an exhibition of the #CedefopPhotoAward winning and runner-up photo stories, as well as the prize award that includes a winning team being invited to attend the festival’s official opening. The winners, F-56 photography team from the Vilnius Vocational Training Centre for Business Service Specialists, consisted of Tim Kliukoit, Evelina Burštein, Raminta Levandraitítė-Matulevičienė and Eglė Mekuškienė. Their story was titled ‘Capturing landscape and light’. ‘With this message you are not only setting an example – you could become ambassadors for VET and lifelong learning,’ she added. The exhibition will stay open until the end of November. If you are unable to visit the exhibition, check out the winners and runners-up in our slideshow.